Think of an Italian market, and what’s the first image that comes to mind? A bustling, aromatic shop with huge wheels of Parmigiano-Reggiano cheese on the counter and small wedges of pecorino Romano in baskets. Shelves stocked with jars of imported capers, olive oils and plump white beans. And above it all, ropes of sausage and prosciutto hams, dangling from the ceiling. Refrigerators offering an impressive selection of imported cured meats alongside salami, speck and bresaola, plus sausages and fresh mozzarella that are made in the store. Plain and stuffed fresh pastas and house-made sauces pack the shelves as well, next to trays of lasagna, eggplant Parmesan and individual cups of tiramisu. Imported pantry goods such as vinegars, cans of Italian coffee beans and wines do double duty as scene-setters and sellable goods. Got the picture; now get the goods, the good Italian goods. 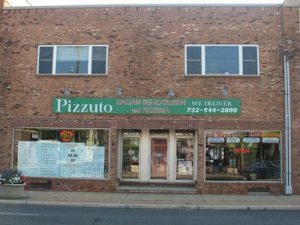 According to Richard R. Santore of Bielat Santore & Company, Allenhurst, New Jersey, Pizzuto’s Market located at 15 Highway 35, Eatontown, New Jersey was sold to two highly-skilled food operators. These operators, Michael D’Angelo and Richard Pesce have been seasoned in the restaurant business, the pizzeria business and the Italian deli business for over 25 years. Joseph Denker, a salesperson for Bielat Santore & Company, introduced D’Angelo and Pesce to the market and was the agent that guided the new owners in their purchase of the store. Pizzuto’s Italian Market is centrally located between the Monmouth Mall and Red Bank, New Jersey, fronting on the heavily traveled Route 35. Proprietors D’Angelo and Pesce are hands-on owners. Both men are trained chefs. D’Angelo has a restaurant, catering and Italian Deli background and Pesce a background in the pizzeria business. Together they will create, present and offer the finest in Italian prepared foods, sandwiches, homemade pastas, soups, breads and fresh mozzarella all complimented by an array of the best-tasting pizzas in the area for. The market will also offer an extensive off-premise catering menu. Pizzuto’s is open Monday through Thursday 9:00 am to 7:00 pm, Friday and Saturday 9:00 am to 8:00 pm and Sunday 9:00 am to 5:00 pm. So, stop in and say hello to the two Paisans at Pizzuto’s…you’ll be glad you did!